This is a very simple and interesting question. We all know about the mighty Philistine Goliath and how little, young and brave David used a stone and a sling to kill him. This powerful story can be found in 1Samuel 16 and 17. Here you can also find the first anointing and rising of David to be King over Israel. So who is the father of David? 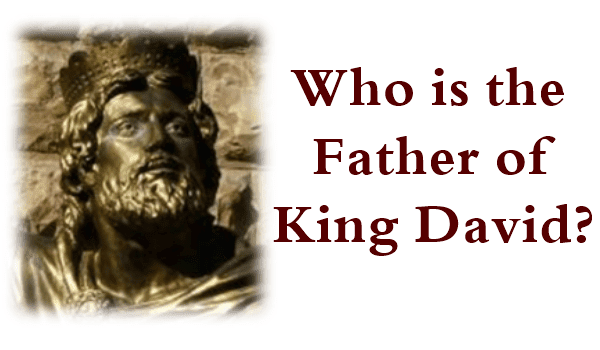 Well, since we know a bit about King David, it wouldn't come as a surprise for you to want to know who is his father and that is what you are about to find out from the Bible. Answer: The father of David is Jesse. In the Bible, David is referred to as being the son of Jesse on different occasions. It simple will lead one to think that Jesse was a man who led his household or family to serve God.